Automatic door closer, automatic security with ease. Open and close your doors with ease by installing an automatic door closer. Take a look at the video below to see one of the Wynns Locksmiths swinging doors in action. We have installed a door closer and teamed it to work with our FOB’s. This design provides both security and ease for our staff. Another great place for this type of design setup is on doors for elderly or disabled family members. A swipe entry point system can be installed on both the inside and outside of their doors. The door closer can then automatically open, close, and lock the door with ease and security. 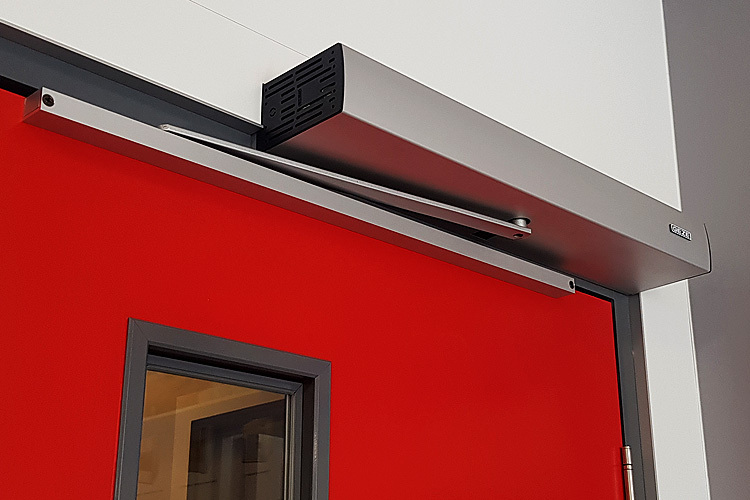 An automatic door closer ensures reliable closing of doors. High traffic doors are easily controlled and kept closed when they should be. There are numerous door opening and closing solutions. They can be installed as stand alone systems or connected in with other security systems. Door closers are practical solutions for both residential and commercial properties. Have a chat with one of our technicians to find out what will work best for your doors. There are a range of door closers out there to suit the wide variety of doors and ways in which they work. Chat to one of our friendly and professional technicians today about installing an automatic door closer to your property.